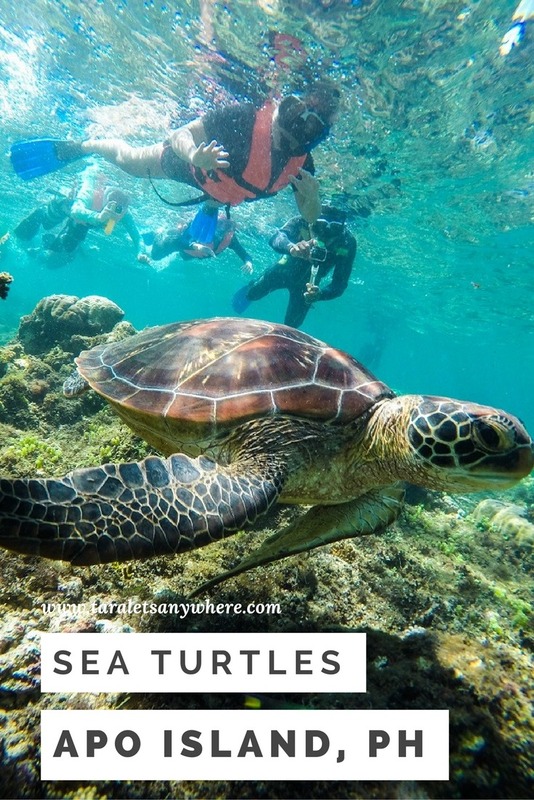 If you’re in Dumaguete City, one thing that you shouldn’t miss is visiting the nearby Apo Island where you can snorkel to sea various types of corals and wildlife, including sea turtles! 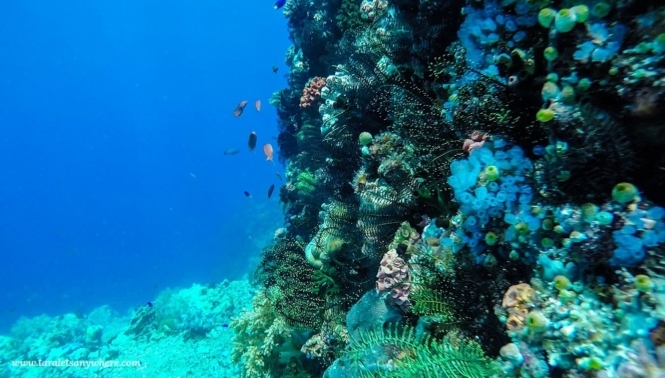 Apo Island is a volcanic island situated at the southeastern tip of Negros Oriental. 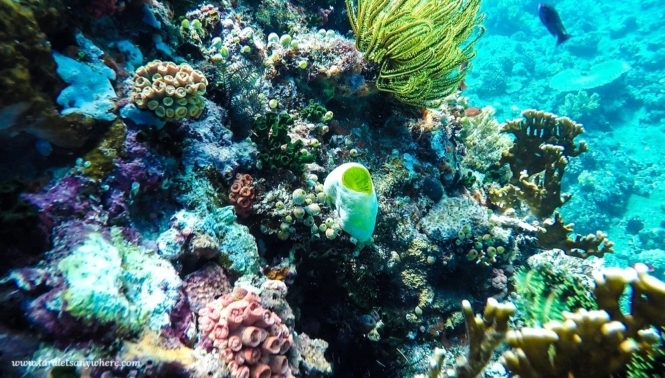 Its surrounding marine habitat is considered a marine preserve, and it gets a two-thumbs up in terms of balance between tourism and conservation. Tourism revenue benefits local families in the area. 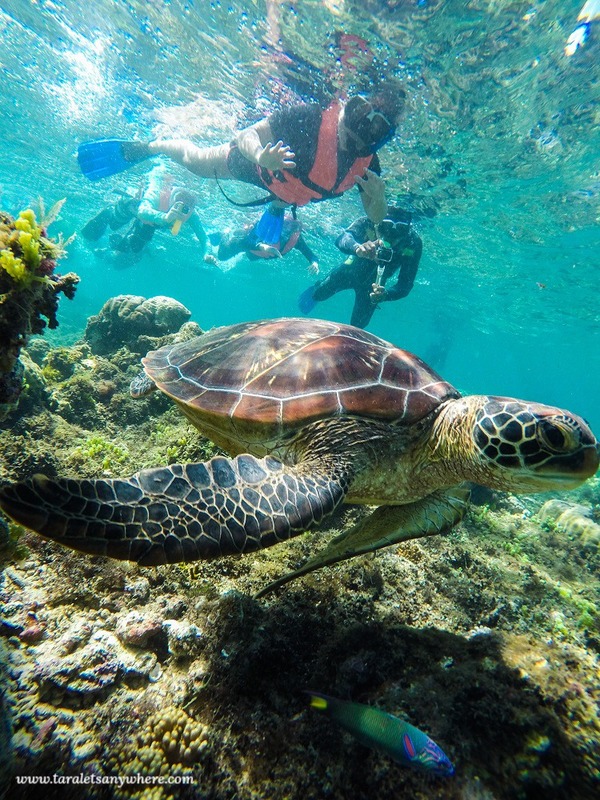 Like I said, Apo Island is mostly known for its sea turtle activity, but I find that the snorkeling experience it offers is just as equally amazing. Because I was alone and didn’t want the hassle of finding other tourists for boat sharing, I signed up on a joiner Apo Island tour. I have so many pictures in my adventure here in Apo Island, it’s crazy. Halfway through making screenshots from the videos, I stopped and thought, there is too much beautiful in here it was actually tiring. Anyway, from the shores of Zamboanguita it took about 30-45 minutes to reach Apo Island. We stopped several meters from the shore of the island, where the sea turtles can be seen. We were divided into groups of 4 and assigned a single guide. Our guide beckoned us to follow him as he looked for sea turtles. 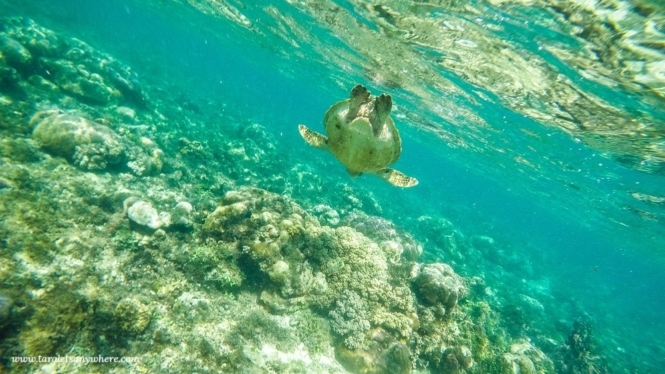 One of the tour joiners swimming with a sea turtle. We immediately saw one near the shore, but there were too many people so we went a little further. At one point we saw two sea turtles together. The other one — which is the biggest one that I’ve seen, with head the same size as a human’s, if not bigger — stopped to eat some sea grapes. We had time to watch it and take photos and videos. We weren’t allowed to touch the sea turtles and advised to keep our distance, but it was still amazing. We were so close with them I resisted the urge to hug one (probably a bad idea anyway). There are also manta rays in this area of Apo Island, but they are in the deeper parts of the sea, about 20-30 meters down. After the waves had gotten stronger, we went next to two snorkeling sites. I must say, Apo Island features the best underwater scenery I’ve seen as of yet, better even than the Coral Garden in Coron. 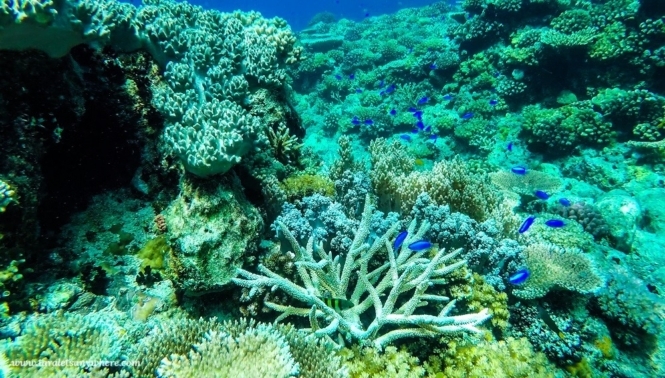 The corals are diverse and massive and there are all sorts of sea vegetation. 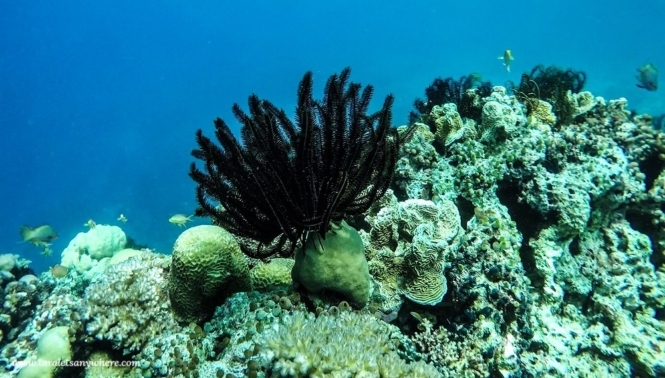 You need to freedive to see the best sights. I’m a modest swimmer and can easily tire, so I stayed on my lifevest and floated from above. Our guide stayed by me and was very enthusiastic to capture the underwater tableau, often volunteering to take my GoPro as he dived smoothly down to the ocean floor. I appreciated this gesture immensely, otherwise I wouldn’t be able to see what it’s like at the bottom. As I was later browsing the videos, I was blown away. It seemed like a natural setup for an underwater-themed magazine. There’s so much sea plants and marine creatures I hadn’t seen before. These are some of my GoPro shots. I just enhanced them a little bit, but honestly even the unedited ones are already good to publish. I sent some over to my friends and they were also impressed. 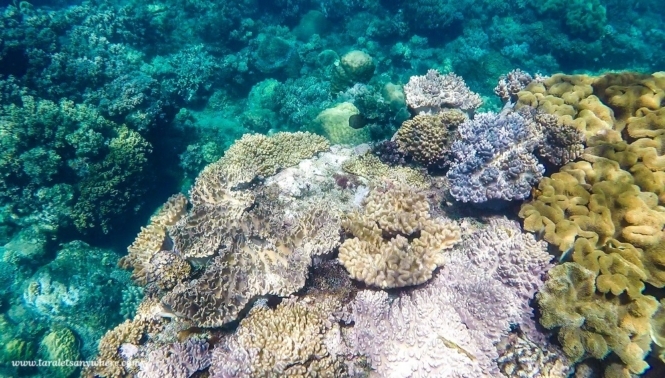 The corals in Apo Island are so huge! This is part of a giant rock structure at the bottom. The sides are filled with all sorts of sea plants. These small blue fishes glow under the sea. 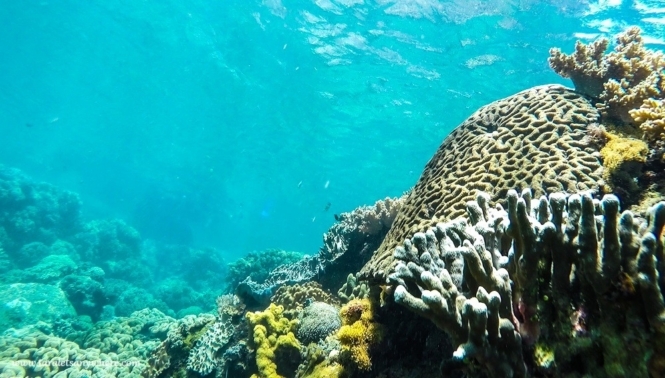 For me, Apo Island should be one of the highlights of tourism in the Philippines. 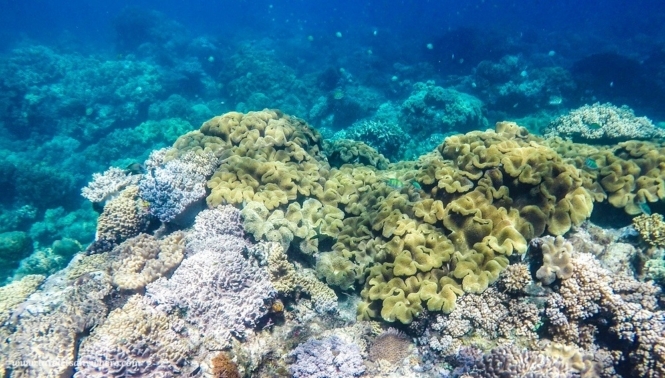 Apo Island is accessible from Dumaguete City. If you’re going to join a package tour, transportation is usually already covered via a private jeep. From anywhere in Dumaguete City, ride a tricycle to Siaton. Ride a jeepney to Malapatay, Zamboanguita. Walk toward the port and rent a boat to Apo Island. You can also look for other joiners to share costs with you. 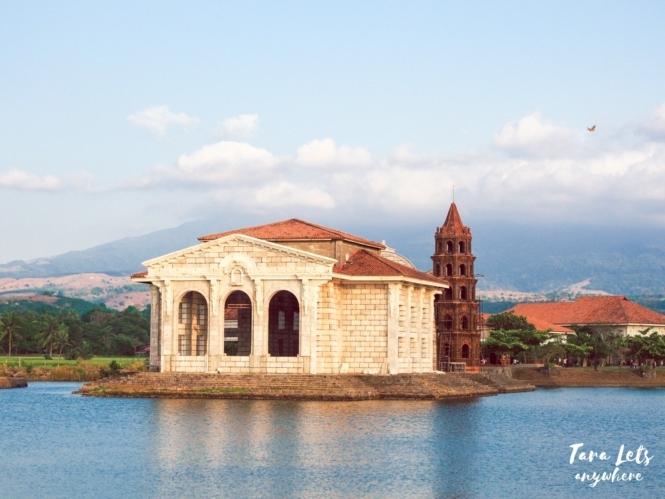 If you’re only on a day tour, it’s best to simply stay in Dumaguete. Click here to book discounted rates in Dumaguete. Another option is to stay in nearby Dauin. This option is best if you’re looking for a more comfortable accommodation or if you’re with a family. Click here to book discounted rates in Dauin. 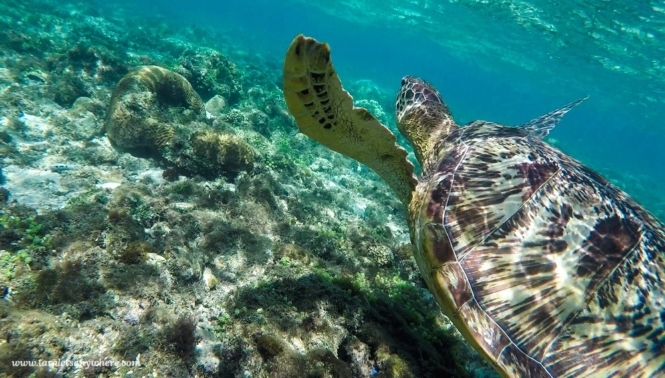 For its worth, going to and doing the sea turtle activity in Apo Island is actually cheap. If you’re solo, I recommend signing up for a joiner tour, as I did. 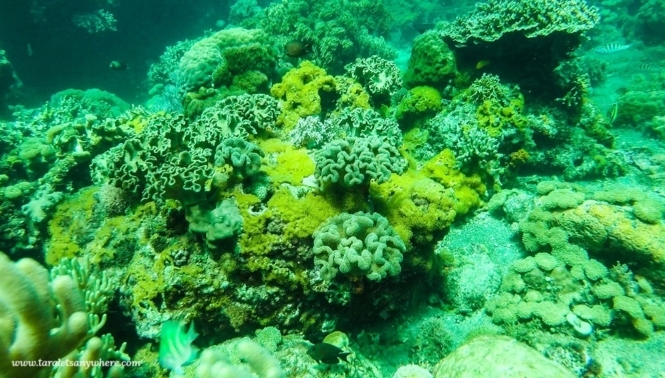 I availed of an Apo Island tour for P1200 from the dive center of Harold’s Mansion. It covers everything from transportation (Harold’s Mansion to Zamboaguita and back, as well as the boat ride) to fees and lunch. I only paid a little more than I would if I did it DIY, and the convenience and helpful guides from the dive center were all worth it. In fact, I’d definitely recommend them, especially for solo travelers like me. Tip: Make sure to reserve in advance to get a confirmed slot. Don’t forget to bring a bottled water, as the activity can get pretty tiring. Hotels and beach resorts also offer tours, but they are usually expensive. I’ve seen prices ranging from P2000 to P3000 per person. Your best option is to look for budget-friendly travel agencies in Dumaguete City. 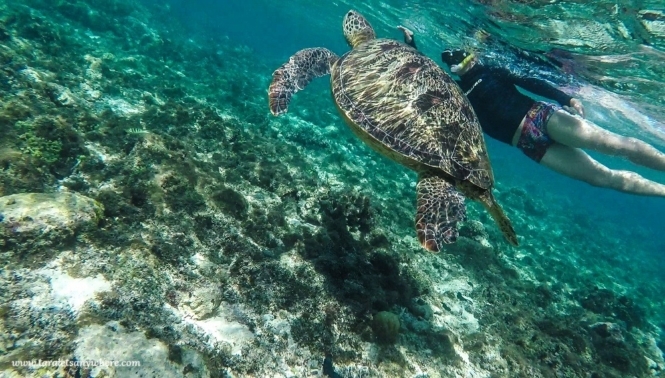 That’s it for our travel guide to Apo Island, Negros Oriental. If you like this post, share it in Pinterest! Hi. Is the tour from Harold includes the tour to Rock Formation in Apo Island? Not sure what place you’re referring to. Maybe you can ask them directly. Hi Kat,just wanna ask. Is it a whole day tour? Hi Wanglee. We started in the morning up to about 3PM iirc. hello! when you say 1200php covers everything, does it include the 100php entrance fee to the island and the guide? thanks! Looks absolutely incredible and super impressed you managed to get such good photographs on your GoPro! You must have had good light down there! My underwater shots are always quite hit and miss. “There is too much beautiful here”- I know the feeling! Sometimes you just have to put your camera down and take it all in! I commend your restraint, however- I would never have been able to stop myself from hugging that magnificent turtle. Wow! Just Wow! 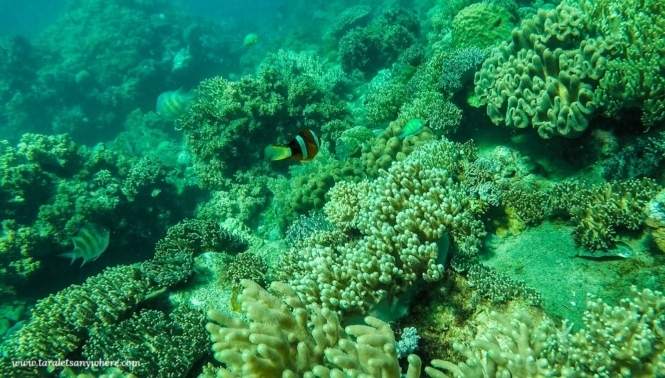 I think that snorkeling in Apo Island is absolutely amazing. You’re right when you said that the photos were like pages from an underwater-themed magazine. They’re so alive and inviting. I know how to swim but not that confident underwater. And a post like yours (and Adrenaline Romance’s 🙂 ) just wants me to overcome that fear more and more. Beautiful photos! and I love turtles!!! I spent a month in the Philippines but didn’t managed to explore the Visayas region more. Should definitely return again one day! Very beautiful photos. 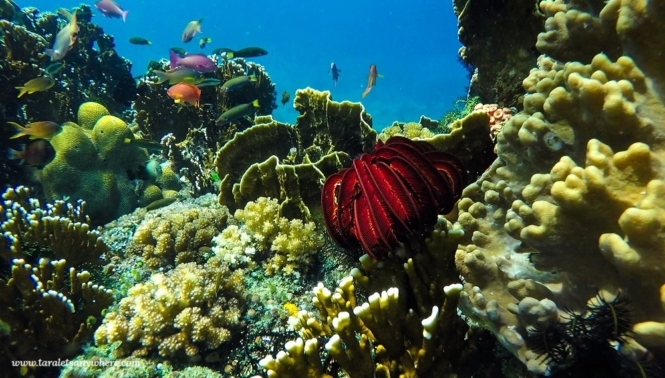 We scuba dived in Chapel Dive site (where the corals are), and the reef’s raw beauty blew our minds. And our divemaster said that this is just the “normal” beauty. 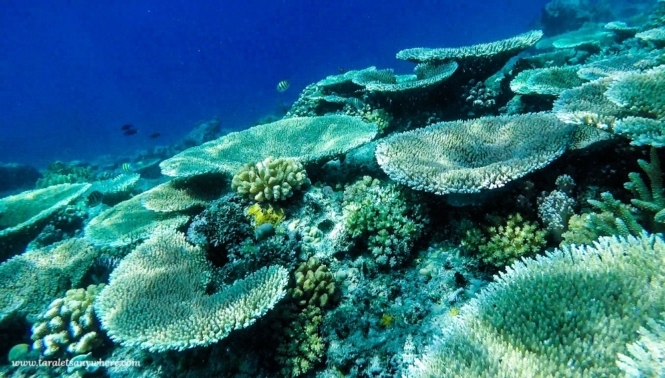 Which means, the other sites around Apo Island are even more magnificent. 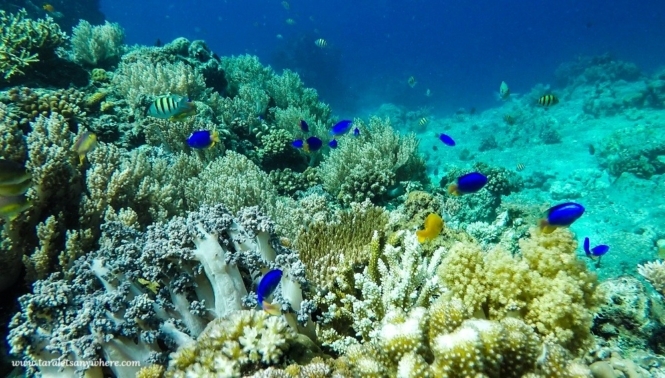 I kinda figured there are more snorkeling/diving sites in Apo Island. I read in your blog it’s home to 650 species of fish. 🙂 I’m interested in particular to how they preserve the sites.